My previous Super Bowl Sunday runs during the 2010s have given me the same sinking feelings as each of the games when the Patriots have played in the Big Game. I.e., nice effort, but when the sporting event was over, I might as well have had a large “L” branded on my forehead. Loser again, like my 0-7 record with Tom Brady in the Super Bowl (every time I rooted against the Patriots they won; every time I supported them, they lost). Likewise, I can hardly remember a February Tortoise & Hare run where my race hopes were met, much less exceeded. 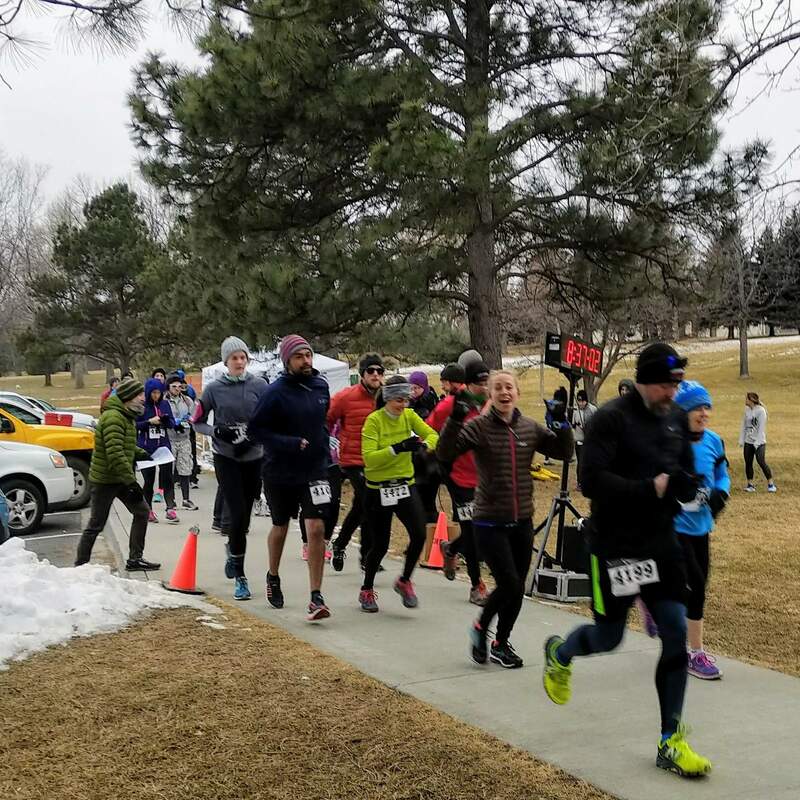 When the 2018 Edora Park 8k rolled around, there was reason to expect much the same. At race start, the winter air chilled our bones far more than forecast with a Real Feel Temperature dipping into the teens. There were patches of ice on the Spring Creek Trail. It was cold enough that my friend Angie—who was visiting from California with her husband Jason—declared that “it is -8C… colder than a Singaporean could handle” and stayed inside instead of joining me at the race as planned. To top it off, this year the T&H February race was eight kilometers instead of five, which was not good news for someone whose longest run was 10km dating back to before an epic trip across Spain four months ago. Meanwhile on the football front, the Patriots were huge overdogs compared to the Philadelphia Eagles in Super Bowl LII—particularly since the latter was playing with an unheralded backup quarterback. There were murmurings of a possible blowout. No matter—I was still rooting for the Eagles since Pennsylvania is my favorite northeastern state, plus I wanted to see the City of Brotherly Love finally get some love of its own from the football gods. I showed up at race start with last-minute additions to my attire: a jacket that I was initially planning to strip, three pairs of gloves, and some chemical handwarmers that Amber had thoughtfully given me ten minutes before the final countdown. I did a few casual tosses and catches of a deflated “Tom Brady football” that Celeste had brought for good luck. Then, when the clock struck 8:44:30 (my official start time), I took off. Everyone else in my starting wave seemed to let me be the frontrunner while they remained several steps back. Undeterred, I cruised through each curve along the straightest and thus shortest line possible, much like a Formula One driver. After one mile, the Garmin read an elapsed time of 00:06:40, which I was content with even as Ruth blazed by despite starting 30 seconds behind me. (She’s clearly back in form a year post-pregnancy. Another runner even marveled how she almost “took them out” as she sprinted past a group of T&H racers on an icy section!) She may have caught me way sooner than is typical for a staggered-start race like this (since in theory, if everyone is performing as expected, they’d all finish at the same time), but I was passing others too. It seemed like a while but I finally reached the turnaround point, which is where I usually lose a lot of momentum due to the U-turn. Turns out that on this day, however, I had staying power. It helped to see other friends on the course and to give and receive encouragement to and from them, even though by that time our cheeks were frozen enough that it was hard to move our lips, much less scream any hearty woohoos. When I sprinted across the finished line, I didn’t need to look at a watch that I had put in a good race. In fact, my time of 34:21 was faster than most of my Edora 8k performances from the 2010s, despite this one being in frostier, less-ideal conditions. To top it off, later that evening Nick Foles of the Philadelphia Eagles was playing out of his mind and somehow was matching Tom Brady (who was just declared the season MVP the day before) in a total shootout. As all eight Tom Brady Super Bowls had gone, the game came down to the last minute before a victor emerged. This time it was… 42-34, Eagles. My 0-7 Tom Brady Super Bowl streak had finally ended.